Your immune system is in a constant state of surveillance and fighting germs. 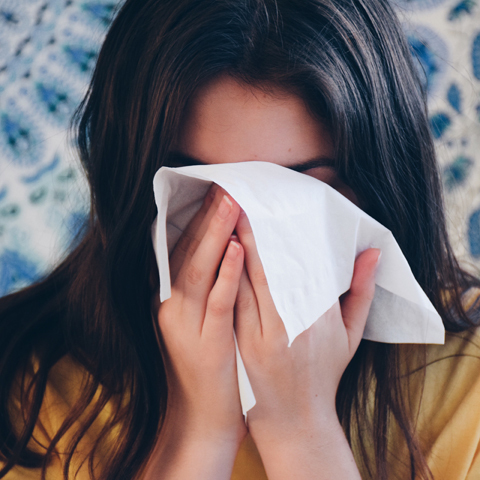 From the germs on the door handle, on the TV remote or cell phone, and the passerby who sneezed on you, there is an ongoing challenge. Some individuals manage to ward off the germs whereas others become ill. How well we nourish our body on a daily basis makes a huge difference for the energetic demands and actions of the immune system. Immune system energetics relies on a number of things - including the ATP producers or mitochondria of cells. Mitochondria are now recognized to perform multiple duties for the immune system and considered at the forefront of defense. If mitochondria are healthy and fortified, then our immune defense system is able to engage. Several things have been discovered about mitochondria and the immune system in recent years and it is a hot topic of research. Evidence indicates that “mitochondria are at the heart of immunity” and has great implications for many concerns from aging well and immune health, autoimmune disorders, inflammation, and chronic infections. Mitochondria are on the first lines of defense affecting both innate and adaptive immunity. Innate immunity refers to general or non-specific defense mechanisms that show up immediately or within a few hours after an antigen appears in the body. Antigens are anything that causes an immune response – like bacteria, viruses, yeast, parasites, or smaller proteins released by the invader. The innate immune system works to fight off germs before they become a bigger problem, i.e. infection. Innate immune cells include white blood cells, natural killer cells, and macrophages. Adaptive immunity reacts slowly over the course of days and uses T cells, B cells and other antigen presenting cells. This is the part of the immune system that learns, recognizes, and remembers the past exposure to germs. It creates immunological memory. Mitochondrial signals are required for T cells to activate and form immune memory. Mitochondrial innate and adaptive immune activity involves Kreb’s cycle intermediates 1 such as succinate, fumarate, and citrate that propel cellular energy production. Mitochondria orchestrate anti-germ responses within cells via the innate immune system. This activation turns on antiviral, antibacterial, and antifungal activity on mitochondrial membranes which then sets other activity in motion with other immune soldiers like macrophages and natural killer cells. Macrophages are a type of white blood cell that eats up cellular debris and foreign cells like germs and cancer cells. Germs can injure the mitochondrial membranes and its internal structure that cause loss of mitochondrial function and a barrage of reactive oxygen species (ROS) that lead to oxidative stress. During an acute infection, mitochondria in cells are gravely injured and go through apoptosis, or cell death, leading to compromised cellular respiration. This is one of the reasons for the crushing fatigue during an infection or even the low-grade malaise that lingers afterwards. Removal of the damaged mitochondria is a good thing at this point in order to recover as the body can make new mitochondria. In some circumstances, viruses may infect the mitochondria and create a chronic infection which may increase the risk for viral-related cancers and gene regulation. Viruses that can affect mitochondrial function include the Rous sarcoma virus, Epstein-Barr virus (EBV), Kaposi's sarcoma-associated herpes virus (KSHV), human papilloma virus (HPV), hepatitis B virus (HBV), hepatitis C virus (HCV), and human T-cell leukemia virus type 1 (HTLV-1). The flu virus – Influenza A also induces mitochondrial damage. Recurrent bacteria and fungal infections are more commonly seen with serious mitochondrial impairment. Repeated infections with Staphylococcus aureus, Candida albicans, C. difficile, Enterococcus, E. coli, Pseudomonas aeruginosa, and respiratory syncytial virus may occur. In addition, there may be other lab markers that reflect mitochondria-immune challenges with hypogammaglobulinemia, low IgA, low vaccine titres, low memory B cells and low T cells. There is a normal cycle of the body making and destroying mitochondria with daily repair, similar to other tissues in the body like bones. However, oxidative stress and cumulative wear and tear challenge these powerhouses of energy production, immune signaling, and cellular energetics which increases risk of infection, autoimmune disorders, and accelerated aging or inflammation. Many things injure mitochondria in daily life that makes compromises their immune function and energy production. Mitochondria are prone to toxins from the environment, medications, and occupational exposure. Cigarette smoke, air pollution, pesticides like 2,4-D, dinoseb, and glyphosate/Roundup are toxic to mitochondria. Mercury, lead, arsenic, and cadmium are also detrimental to mitochondria. Reduction in calories or smaller, balanced meals with 4-6 hours between meals, and longer periods of fasting between dinner and breakfast helps mitochondria. High calorie diets, grazing, and large meals compete against mitochondria. Additional information may be found in the article Mitochondria –Drugs That Injure and What Mitochondria Injury Looks Like and Monsanto’s Roundup Linked to Cancer, ADHD, Mitochondrial Dysfunction. If you are prone to frequent infections, struggle with energy production, are cold intolerant, and are aging faster than you should, then work on supporting your mitochondria.